Dance with passion, confidence and pride. Turn twist sway and swoon. 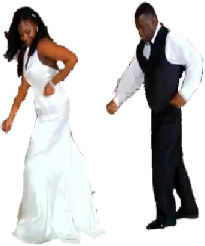 Make sure you dance well as the newly wed groom. The first time you dance as a married couple for all your guests to see is a once in a life time occasion. With all the effort you've put into your wedding and reception, a romantic duet choreographed for two is the icing on the cake. .
Don't ruin your reception with a first dance that embarrasses everybody. Be prepared, impress your guests and dance a duet that embodies the spirit of the day: warmth affection love and commitment.. Choose a song with personal sentiment, and leave the rest to us. 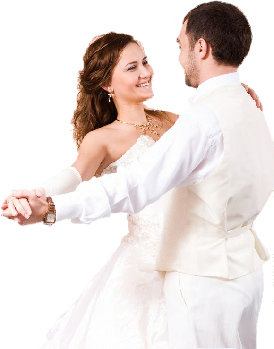 With a professional choreographer your first dance as a married couple will be a memorable occasion. We choreograph any song, any style suited to you level of ability. If you would like a basic dance, that’s fine. But if you would like something a little more funky we are very happy to do that too. We work with music from typical jazz standards to classical music to RnB music. Just fill in the form and get yourself booked in! You wouldn't want to regret it would you?